Alka-Seltzer is an antacid and pain relief medicine that provides fast relief of acid indigestion, sour stomach, heartburn with headache, body aches and pains. 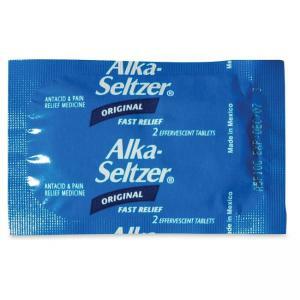 Alka-Seltzer gently breaks up and dissolves away the full feeling of indigestion and pain fast. Its effervescent action extinguishes heartburn too.